Although summer is coming to an end, there are still ways to evoke the feelings of a breezy coastal getaway at home all year long. One of the greatest feelings of freedom in the world is catching a big breeze on a sailboat and leaving a safe harbor far behind. Placing a sailboat model, photograph or drawing may just bring that feeling back. 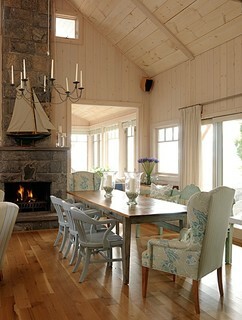 Here’s a look at how to incorporate a sailboat into any room.